The Weight Loss Success Formula! 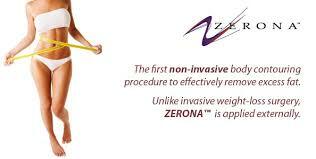 Real Weight Loss PLUS Body Contouring AND RESULTS that will certainly Put a Big Smile on your Doctor's Face. Dr Michael P. Butler will confidently help you to successfully reach and maintain your weight loss goal. His facility has everything you need to get the job done RIGHT, the first time. Tell your husband, tell your wife... This WILL BE... "Your Last Diet"
"Imagine coming to your first 30-minute consultation and leaving with such excitement that you want to scream from the rooftop." Dr Butler has put them ALL together IN ONE PLACE!! "ask for The Weight Loss Success Formula"
"My Doctor told me I needed to Lose 45 lbs. And I did it!" "I lost over 100 lbs!" *Results while following the Ideal Protein Weight Loss Method may vary.